Yesterday, at Stockholm’s Protein Pow Workshop with Sanna from Tasty Health (click here to check out the pics), I made some chocolate fudge protein bars that took the room by storm! They were lush and I wanted to share the recipe with you guys so you can make them too. They were really easy to make and roughly based on the Vanilla & Coconut Protein bars in the Protein Pow App and Protein Pow(d)er: The Cookbook in that all they had for ‘body’ was whey protein and coconut flour (plus some cocoa instead of the coconut). I made the bars by adding what probably amounted to 2 or 3 tablespoons of almond butter and then some (unsweetened) almond milk. Finally, I used ‘low-carb dark chocolate.’ I’d actually never tried this chocolate before and thought it’d be kind of gross (like most ‘diet’ versions of chocolate tend to be) but WHOHOHOHOA! It was delicious! I could hardly tell that it was sugar-free and consequently ‘low carb.’ It melted beautifully and mmmm! Now, if only it were available in the UK (the closest thing I can find is this, in the US). I guess I’ll just have to pack a bunch of bars to take with me this coming week when I fly back to London? 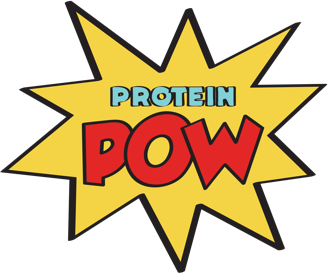 Speaking of London, my next Protein Pow Workshop – in May, sold out a while ago. People keep messaging and emailing me to ask about when the next one will be and my answer right now, for London, is July! I’ll add it here soon. June will probably be NYC (woop woop). I should, however, mention that, if you’re going to the Body Power expo in mid-May, you should attend my cooking presentations! I’ll be making all kinds of protein bars and talking about protein baking. I’ll also be launching my new book at the expo!!!!! Words cannot convey how excited I am about that. Anyways, here’s the protein bar recipe. The measurements are rough because we didn’t measure anything. I’ll upload the full recipe soon though (with macros) but if you want to beat me to it, go for it! In a bowl, mix the protein pow, coconut flour, cocoa and almond butter, adding a bit of almond milk to bind the mix until you get to a cookie-doughish consistency that you can shape into two big rectangles with your hands. Then, melt the dark chocolate and proceed to dunk the bars in it! I finished the whole thing by adding some coconut flakes but this steps is optional. It did add a really nice texture to the bars. Macros will be coming your way when I remake the recipe and weigh all the ingredients. Try the bars before I do though! By just experimenting with the above proportions and having fun with your ingredients. Enjoy!